It’s a philosophy the artist and businesswoman from Pawtucket, Rhode Island says allowed her to rethink her approach to business, and to develop and implement a plan that is helping ensure her long-term success. After graduating from the Rhode Island School of Design, Gail started a business, Ahlers Designs, making unique works of sculptural art and gifts from metal, glass, wood and recycled materials. But as an artist who lacked formal business training, Gail’s business journey was more adrift than direct. All that changed in 2007 when Gail was introduced to the Women’s Business Enterprise National Council (WBENC), a national organization that trains, certifies and advocates on behalf of women-owned businesses. 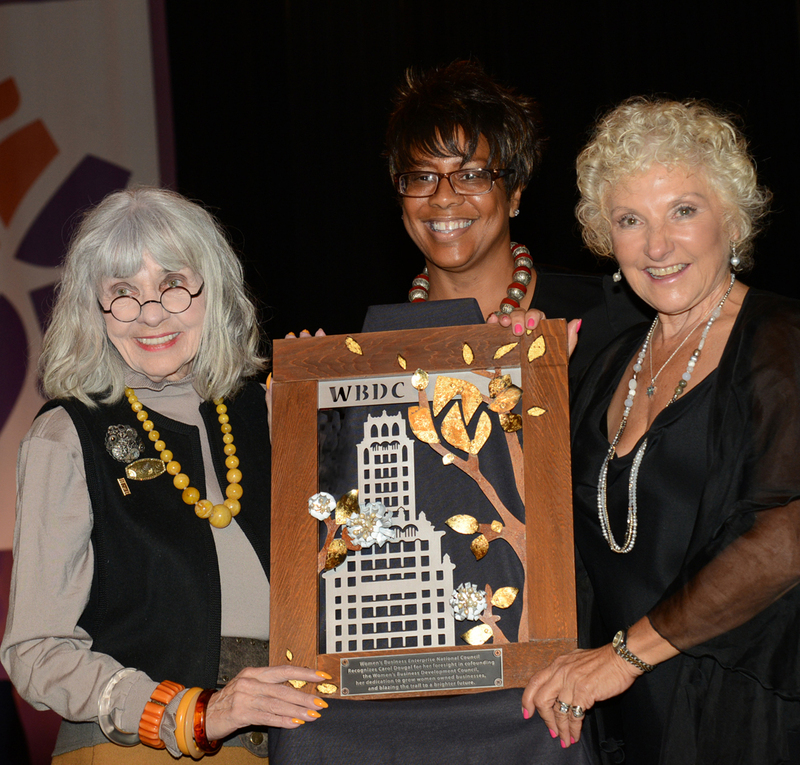 For Gail, WBENC exemplifies her “sisterhood of prosperity” philosophy. Since becoming WBENC-certified, Gail has attended training programs, including an intensive six-day executive training program jointly sponsored by WBENC and the Tuck School of Business at Dartmouth. She has also participated in WBENC national conferences and business fairs, and events and programs sponsored by WBENC’s Regional Partner Organizations. Gail met Ricardo Barrientos, of PepsiCo, at a conference in Chicago in early 2012. Ricardo, who is responsible for PepsiCo’s supplier diversity programs, is a regular attendee at WBENC conferences and business fairs, which provide corporations an opportunity to network with women entrepreneurs. WBENC and PepsiCo have a long history together. PepsiCo was a founding corporate member of WBENC in 1997, and has continued to support the organization and its regional partners across the United States. “Gail approached me at the PepsiCo booth and said she was working on a special presentation for WBENC using recycled Pepsi cans,” said Ricardo. “She said she was doing the project as a gift to WBENC to show her appreciation for all it has done to help her grow and develop as an artist and businesswoman. “Gail’s art is an excellent example of the ‘out of the box’ innovation WBENC WBEs can provide to our constituent base,” said Candace Waterman, chief of staff of WBENC Certification and Program Operations. “Gail’s 360 approach and creativity produced a piece that is representative of the relationship between PepsiCo, WBDC-Chicago and WBENC. I was more than honored to present it to the WBDC-Chicago co-founders,” she said. Learn more about Gail Ahlers and WBENC.